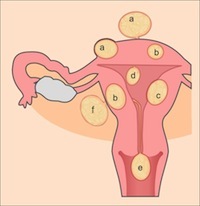 Researchers from the Department of Obstetrics and Gynecology at the University Hospital of Pointe-a-Pitre in France recently published a study in the journal Archives of Gynecology and Obstetrics on the long-term reproductive effects of myomectomy (a surgical procedure to remove uterine fibroids). According to information provided by myomectomy patients, only 43.5% were able to conceive. A total of 297 patients received conservative surgery (myomectomy) at the University Hospital of Pointe-a-Pitre. Of the 297 patients, 220 participated in a phone interview indicating they had tried to conceive (TTC) after treatment. Only 54 myomectomy patients successfully conceived resulting in 66 pregnancies. Only 59% of the pregnancies ended in the live birth. Nearly 26% ended in miscarriage. Conclusion: Researchers contribute the low pregnancy rates to advanced maternal age, population factors and extenuating causes of infertility. There was no mention of the increased risk of miscarriage associated with myomectomy in the research article. Source: Borja de Mozota D, Kadhel P, Janky E. Fertility, pregnancy outcomes and deliveries following myomectomy: an experience of a French Caribbean University Hospital. Arch Gynecol Obstet. 2013 Oct 6.